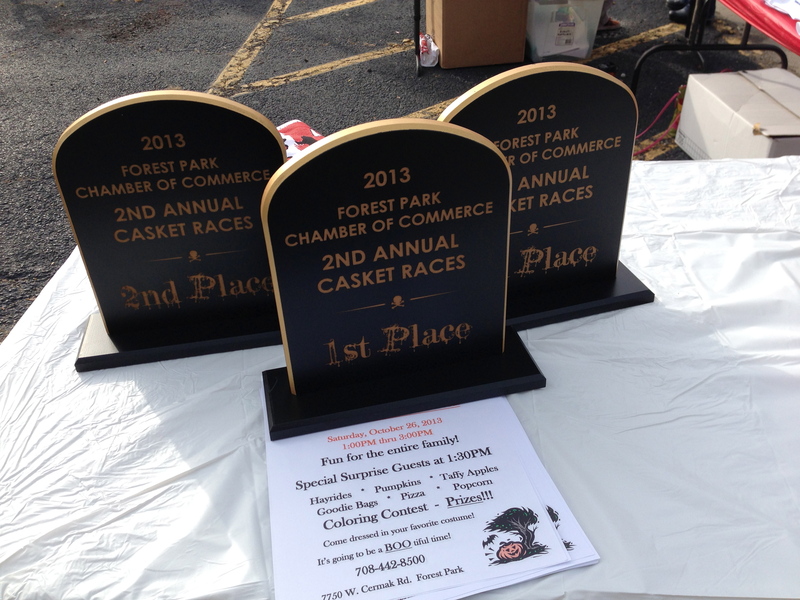 Last Saturday, Forest Park hosted its second annual Casket Races. 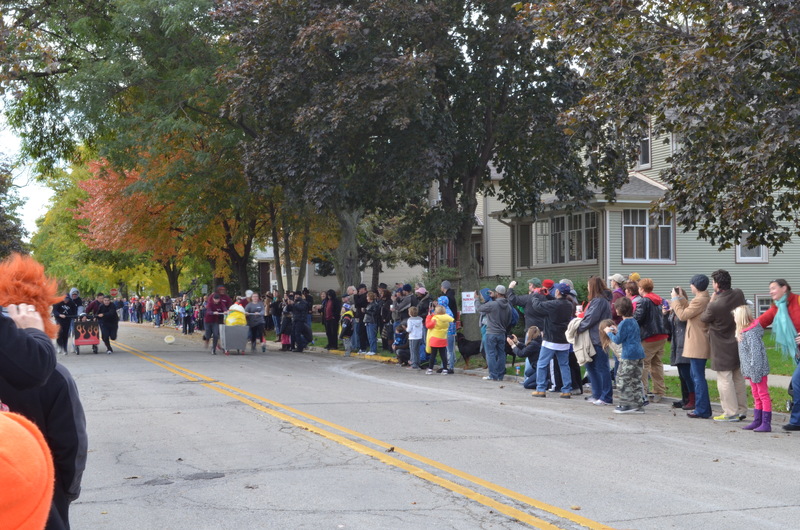 Forest Park is sometimes known as the “village of cemeteries”–our dead-to-living ratio is 30 to 1–so it is only fitting that we have a race of caskets as a fairly new annual Halloween tradition. Basically, contestants build a “casket” (or a casket-like car) and one person rides in the casket while the other four “pall bearers” push it down the block. It was a super-fast moving race (in most cases), but the best part was checking out the different designs and costumes of each team. I love events like these, especially when regular people, organizations and businesses take part and create awesomely themed “caskets”. The casket above is made from a refrigerator…it totally lost (refrigerators have way too much drag to be real contenders!) but coming from an appliance store (Grand on Madison) it was the perfect casket for the race. 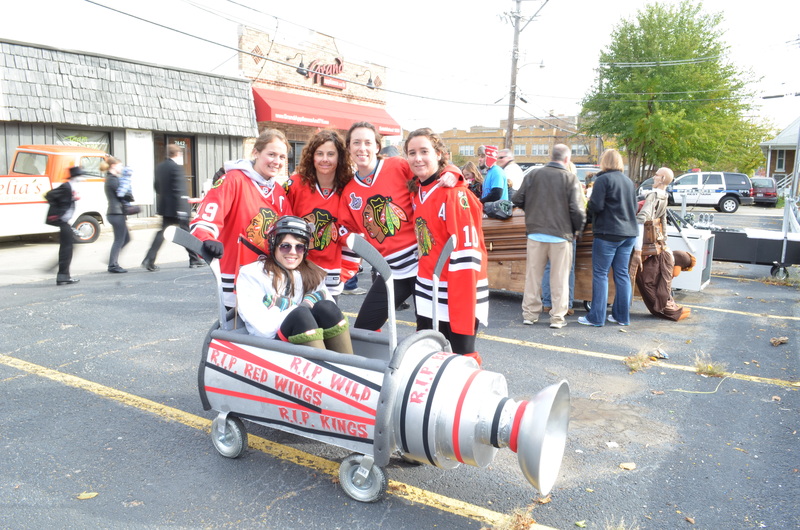 This one was my personal favorite…the Stanley Cup casket was brilliant. 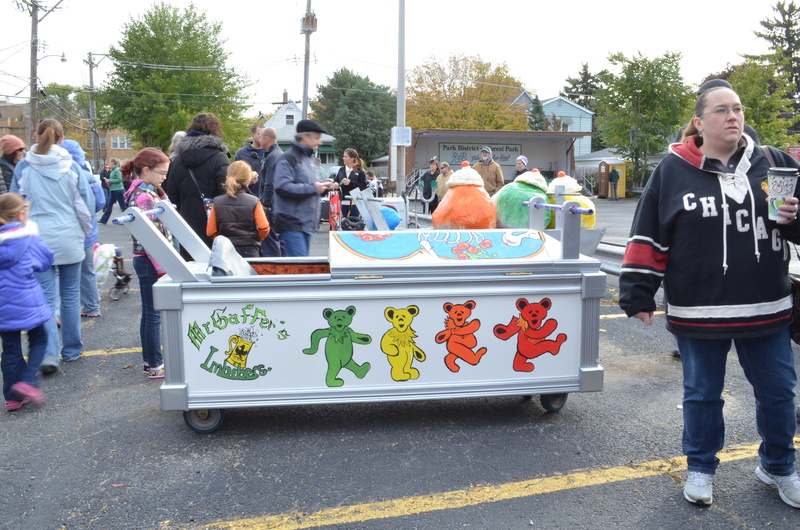 The Grateful Dead casket was an entry from a local bar, McGaffer’s. Their runners were decked out in tie-dye, of course. 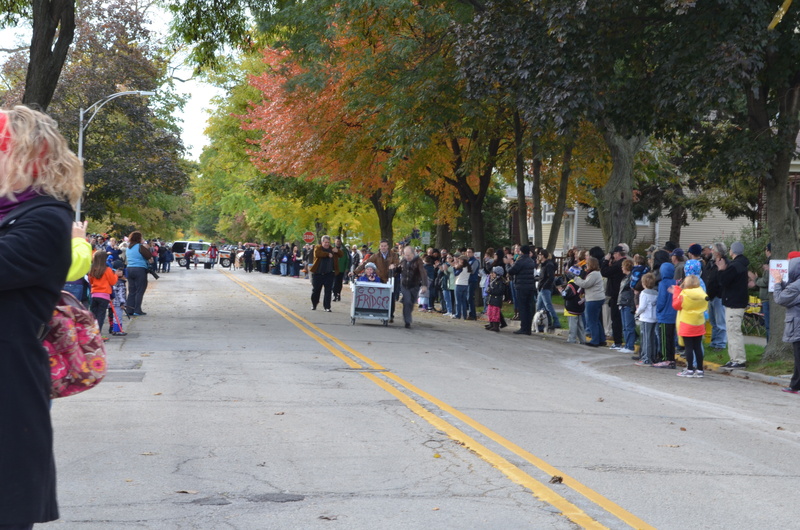 The ice cream “trough” casket (peeking out from behind the Dead casket) was from Brown Cow Ice Cream Shop. 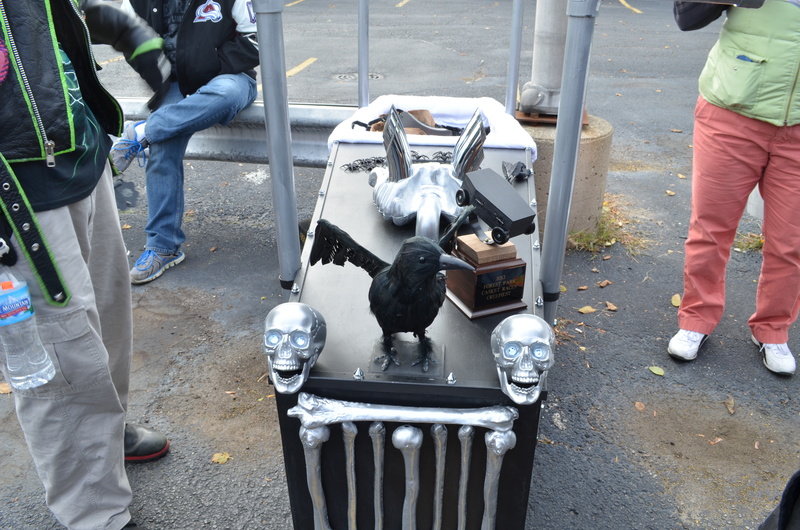 This team won for Spookiest Casket for the second year in a row. There were also trophies for first, second and last place, as well as funniest and coolest caskets. If I owned a local business, I would totally be taking a part in this community event. As a matter of fact, I think I might have to encourage my fellow community gardeners to participate next year. How fun would a garden vegetable themed casket be?